Specifications: blades 22" or 24" notched or smooth, 9" spacing, triple sealed self-aligning bearings, 1 1/2" plow steel square gang rods, 7.60 x 15 4-ply tires, dual tires on 10'6" size or larger, 3" x 10" hydraulic lift cylinder. Nine widths from 6'0 to 12 feet. Weights: 2054 to 4430 pounds. Options: blade cleaners and add-a-blade extensions, utility hitch. 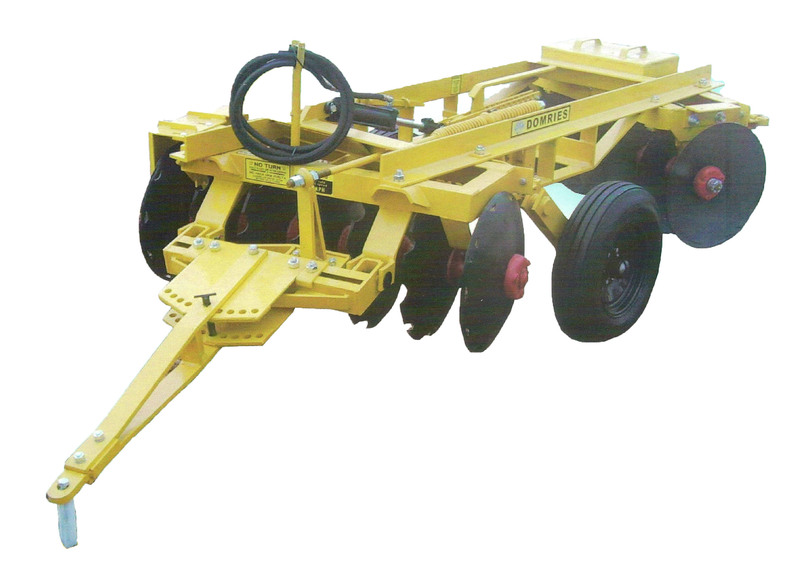 Features: Designed for orchard and open field tillage, this wheel-controlled offset has a main frame and gang frames constructed of heavy angle iron, braced and welded for maximum strength and rigidity. The rear gang can be adjusted by simply driving ahead or backing of the tractor.